Decadent weekend away with two school girlfriends led to me making my first pair of crochet slippers as a gift. 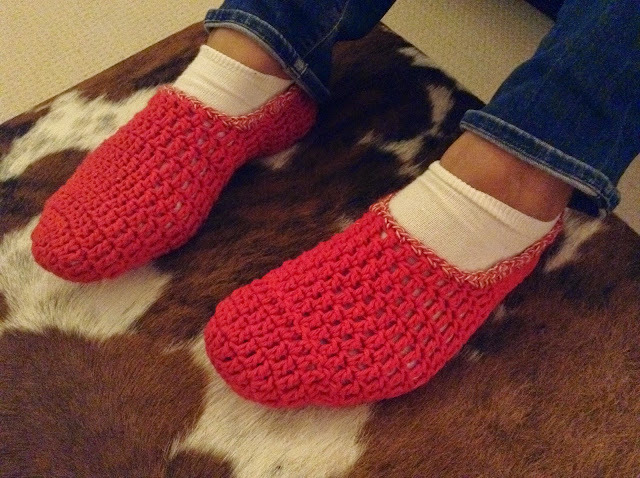 Adapted Moogly Posy Toes Crochet Slippers pattern omitting the posies. My friend was pretty pleased with them!